Oman is a country in the Middle East. Current GDP per capita has expanded continuously in the past 50 years. It grew 339% in the 1960s reaching a peak growth of 1,370% in the 1970s scaling back to modest 13% growth in the 1980s and rising again to 34% in the 1990s. This is a chart of trend of the gross domestic product and gross domestic product per capita of Oman at market prices by the International Monetary Fund. Today, petroleum (oil) fuels the economy and revenues from petroleum products have enabled Oman's dramatic development over the past 30 years. Oil was first discovered in the interior near Fahud in the western desert in 1964. Petroleum Development Oman (PDO) began production in August 1967. The Omani Government owns 60% of PDO, and foreign interests own 40% (Royal Dutch Shell owns 34%; the remaining 6% is owned by Compagnie Francaise des Petroles [Total] and Partex). In 1976, Oman's oil production rose to 366,000 barrels (58,000 m³) per day but declined gradually to about 285,000 barrels (45,000 m³) per day in late 1980 due to the depletion of recoverable reserves. From 1981 to 1986, Oman compensated for declining oil prices, by increasing production levels to 600,000 b/d. With the collapse of oil prices in 1986, however, revenues dropped dramatically. Production was cut back temporarily in coordination with the Organization of Petroleum Exporting Countries (OPEC), and production levels again reached 600,000 b/d by mid-1987, which helped increase revenues. 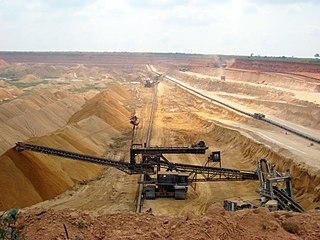 By mid-2000, production had climbed to more than 900,000 b/d where they remain. Oman is not a member of OPEC. Natural gas reserves, which will increasingly provide the fuel for power generation and desalination, stand at 18 trillion ft³ (510 km³). The Oman LNG processing plant located in Sur was opened in 2000, with production capacity of 6.6 million tons/YR, as well as unsubstantial gas liquids, including condensates. The government is undertaking many development projects to modernize the economy, improve the standard of living, and become a more active player in the global marketplace. Oman became a member of the World Trade Organization in October 2000, and continues to amend its financial and commercial practices to conform to international standards. Increases in agriculture and especially fish production are believed possible with the application of modern technology. The Muscat capital area has both an international airport at Seeb and a deepwater port at Mina Qaboos. The newly opened (1999), large-scale modern container port at Salalah, capital of the Dhofar Governorate, and a seaport at nearby Raysut were recently completed. A national road network includes a $400 million highway linking the northern and southern regions. In an effort to diversify the economy, in the early 1980s, the government built a $200-million copper mining and refining plant at Sohar. Other large industrial projects include an 80,000 b/d oil refinery and two cement factories. An industrial zone at Rusayl showcases the country's modest light industries. Marble, limestone, and gypsum may prove commercially viable in the future. United States firms faced a small and highly competitive market dominated by trade with Japan and Britain and re-exports from the United Arab Emirates. The sale of U.S. products has also been hampered by higher transportation costs and the lack of familiarity with Oman on the part of U.S. exporters. However, the traditional U.S. market in Oman, oil field supplies and services, should grow as the country's major oil producer continues a major expansion of fields and wells. In addition, on 20 July 2006 the U.S. Congress approved the US-Oman Free Trade Agreement. This took effect on 1 January 2009, eliminating tariff barriers on all consumer and industrial products. It also provides strong protections for foreign businesses investing in Oman. In Oman, the Omanization program has been in operation since 1999, working toward replacing expatriates with trained Omani personnel. The goal of this initiative is to provide jobs for the rapidly growing Omani population. The state has allotted subsidies for companies to hire local employees not only to gradually reduce reliance on foreign workers but also to overcome an overwhelming employment preference on the part of Omanis for government jobs. By the end of 1999, the number of Omanis in government services exceeded the set target of 72%, and in most departments reached 86% of employees. The Ministry has also stipulated fixed Omanization targets in six areas of the private sector. Most companies have registered Omanization plans. Since April 1998 a 'green card' has been awarded to companies that meet their Omanization targets and comply with the eligibility criteria for labour relations. The names of these companies are published in the local press and they receive preferential treatment in their dealings with the Ministry. Academics working on various aspects of Omanization include Ingo Forstenlechner from United Arab Emirates University and Paul Knoglinger from the FHWien. Omanization, however, in the private sector is not always successful. One of the reasons is that jobs are still filled by expatriates because of the lower wages. Studies reveal that an increasing number of the job openings in the private sector pay the official minimum salary for nationals, which is an unattractive employment prospect for the locals. There is also the problem of placing Omani workers in senior positions due to the fact that a significant chunk of the workforce is composed of young and inexperienced workers. In order to meet the training and Omanization requirements of the banking sector, the Omani Institute of Bankers was established in 1983 and has since played a leading role in increasing the number of Omanis working in the sector. The Central Bank monitors the progress made by the commercial banks with Omanization and in July 1995 issued a circular stipulating that by the year 2000, at least 75% of senior and middle management positions should be held by Omanis. In the clerical grades 95% of staff should be Omanized and 100% in all other grades. At the end of 1999, no less than 98.8% of all positions were held by Omanis. Women made up 60% of the total. During 2001 the percentage of Omanis employed at senior and middle management levels went up from 76.7% to 78.8%. There was a slight increase in the clerical grade percentage to 98.7%, while the non-clerical grades had already reached 100% Omanization in 1998. The banking sector currently employs 2,113 senior and middle managers supported by 4,757 other staff. The Ministry has issued a decision regulating tourist guides, who in future will be required to have a license. This Ministerial decision aims at encouraging professionalism in the industry as well as providing career opportunities for Omanis who will be encouraged to learn foreign languages so as to replace foreign tour guides. In January 1996, a major step forward in the training of Omanis in the hotel industry came with the opening of the National Hospitality Institute (NHI). The Institute is a public company quoted on the Omani Stock exchange. In February 1997, the first batch of 55 male and female trainees, sponsored by the Vocational Training Authority, were awarded their first level certificates and were given on-the-job training in several hotels. In May 1999, the fourth batch of 95 trainees obtained their NVQs, bringing the number of Omanis trained by the Institute to around 450. Omanis now make up 37% of the 34,549 employees in the hotel and catering business, which exceeds the Omanization target of 30% set by the Government. The NHI has also trained catering staff from the Sultan’s Armed Forces and has launched a two-year tour guide course, which includes language training, safe driving, first aid and a knowledge of local history and geography. The stock market capitalization of listed companies in Oman was valued at $15,269 million in 2005 by the World Bank. ^ "World Bank forecasts for Oman, June 2018 (p. 152)" (PDF). World Bank. Retrieved 6 September 2018. ^ "GDP per capita World Bank - Oman". World Bank. Retrieved 25 March 2019. ^ a b c d e f "The World Factbook- Oman". Central Intelligence Agency. Retrieved 20 May 2018. 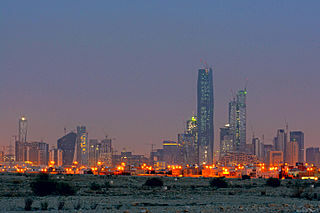 ^ "Urban - Gini index - Omani - Total". The National Center for Statistics and Information, Sultanate of Oman. Retrieved 2018-05-20. ^ "Labor force, total - Oman". The World Bank Group. Retrieved 2018-05-20. ^ "View Oman's Unemployment Rate from 1991 to 2017 in the chart". CEIC. Retrieved 2018-05-20. ^ "Ease of Doing Business in Oman". Doingbusiness.org. Retrieved 2017-11-24. ^ a b "Oman". The Observatory of Economic Complexity. Retrieved 20 May 2018. ^ "Export Partners of Oman". CIA World Factbook. 2012. Retrieved 2013-07-23. ^ "Import Partners of Oman". CIA World Factbook. 2012. Retrieved 2013-07-23. ^ "Report for Selected Countries and Subjects". Retrieved 8 May 2018. ^ Ayalon, Ami (1993). Middle East Contemporary Survey, Volume Xv: 1991. Boulder: Westview Press. pp. 602–603. ISBN 0813318696. ^ Schlumberger, Oliver (2007). Middle East Contemporary Survey, Volume Xv: 1991. Stanford, CA: Stanford University Press. p. 157. ISBN 9780804757768. Muscat is the capital and largest city of Oman. It is the seat of the Governorate of Muscat. According to the National Centre for Statistics and Information (NCSI), the total population of Muscat Governorate reached 1.4 million as of September 2018. The metropolitan area spans approximately 3,500 km2 (1,400 sq mi) and includes six provinces called wilayats. Known since the early 1st century CE as an important trading port between the west and the east, Muscat was ruled by various indigenous tribes as well as foreign powers such as the Persians, the Portuguese Empire, the Iberian Union and the Ottoman Empire at various points in its history. A regional military power in the 18th century, Muscat's influence extended as far as East Africa and Zanzibar. As an important port-town in the Gulf of Oman, Muscat attracted foreign tradesmen and settlers such as the Persians and the Balochis. Since the ascension of Qaboos bin Said as Sultan of Oman in 1970, Muscat has experienced rapid infrastructural development that has led to the growth of a vibrant economy and a multi-ethnic society. Muscat is termed as a Global City. The Sultanate of Muscat and Oman was a thalassocratic nation that encompassed the present-day Sultanate of Oman and parts of present-day United Arab Emirates and Gwadar, Pakistan. The country is not to be confused with Trucial states, which were sheikhdoms under British protection since 1820. Malaysia–Oman relations refers to the bilateral relationship between Malaysia and Oman. Malaysia has an embassy in Muscat, and Oman has an embassy in Kuala Lumpur. SOHAR Port and Freezone is a deep-sea port and adjacent free zone in the Middle East, located in Sohar, Sultanate of Oman, midway between Dubai and Muscat. With current investments exceeding $26 billion, it is one of the world's fastest growing port and free zone developmentsand lies at the centre of global trade routes between Europe and Asia.